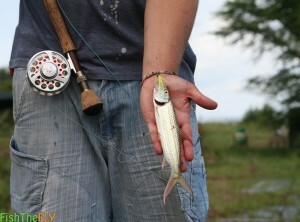 What Are The Best Flies To Use For Targeting Tigerfish While Fly Fishing? What are the best flies for Tigerfish? A question often asked by fly fishing enthusiasts making a trip to Phongola, Jozini or Komatipoort. Tigerfish are a prized angling fish, and these freshwater fish species are regarding as one of the “must catch” fish species on fly. There is something about the Tigerfish, and if you have not fished for them as yet, please do yourself a favour and book a trip! The Tigerfish has a very hard bony mouth, so make sure your flies are sharpened to the max. Steel wire is also advised when targeting Tigers on fly. The wire does effect the flies action a bit, but without it, you will be left cursing and shouting when you get bitten off. 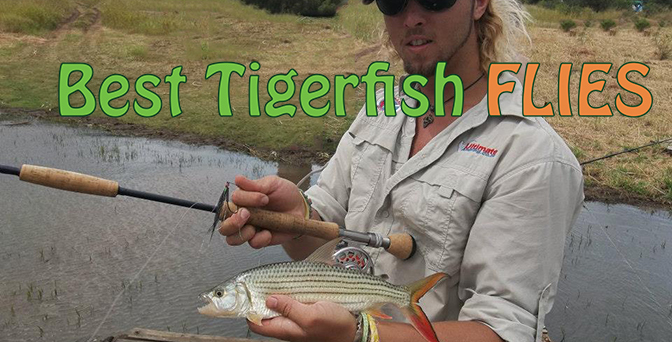 Fish fast retrieves and set the hook hard when you are fly fishing for Tigerfish. Keep the tension on the line, and drop your rod tip when they jump out of the water. Fish The Fly has identified the 5 best Tigerfish flies you can use in the various freshwater fly fishing habitats around Southern Africa. There are so many flies out there, and it is very tough to narrow it down to the 5 flies we have listed below. 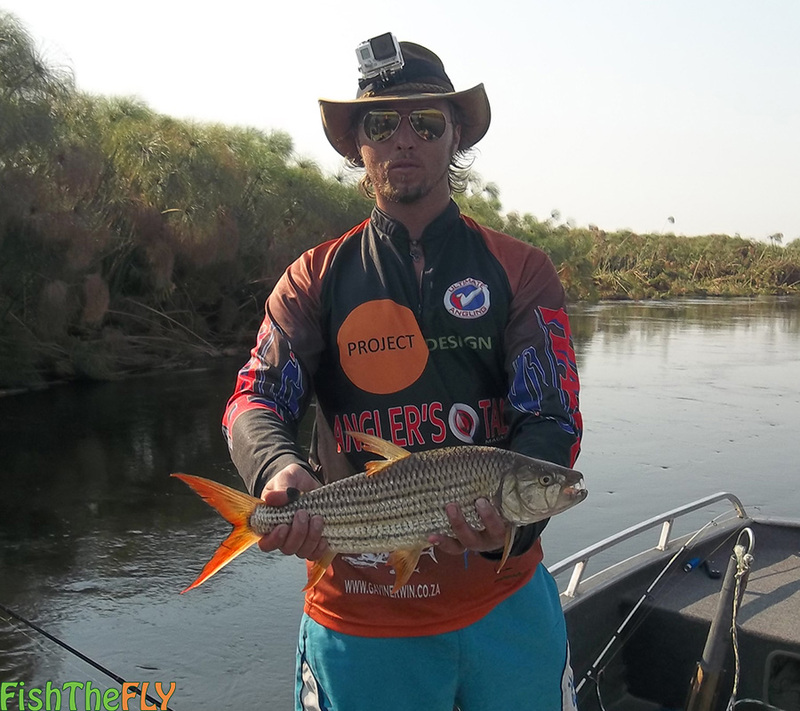 If you use these flies for Tigerfish in South Africa, you will catch fish. Just remember, perseverance is a key to success when Tigerfish fly fishing. There are many other flies that can bring success too, this is just our unbiased opinion from experience. 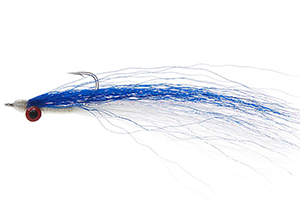 Lefty’s Deceiver The Deceiver fly, or as we know it, the Lefty’s Deceiver, was first tied by World renowned saltwater fly fisherman Lefty Kreh in the 1950’s, who also “invented” the Clouser Minnow… Read more. Fritz The Fritz is an astonishing fly and can literally be fished anywhere, and you can target almost any fish species with this fly. The Fritz is a great fly for freshwater species such as… Read more. Bunker Fly The Bunker Fly is a very well known and popular saltwater streamer-type wet fly. This fly catches big saltwater fish all around the World, and South Africa is no exception… Read more. Brush Fly The Brush Fly is one of those bait fish patterns out there that is not fished as much as it should be. One of the reasons for this is possibly the lack of information out there regarding… Read more. Clouser Minnow The Clouser Minnow as we know it today, was originally called the Clouser Deep Minnow and was first tied in the 1980’s by the legendary Lefty Kreh, who has caught over 100 of species of fish on this fly… Read more.